My kid is in school right now. He goes to preschool because we thought it would be good for him and made a simple decision to send him. He has a bed to sleep on, ample food, access to clean water, and so many other things we take for granted every day. Sadly, those very basic needs aren't so readily accessible for some kids. Our friend Jim Campbell traveled to Ecuador several years ago. The place he visited is called Santa Maria de Fiat, a home for orphaned children that aims to provide all basic needs for kids-- water, food, clothing, and education including tuition and supplies. Jim recognized a desperate financial need that often kept Santa Maria de Fiat from providing those things so he started to raise money and eventually founded Mission Santa Maria. 128 kids to K-12 school and putting 3 kids through college. As you're in caught up in the spirit of giving, consider helping Mission Santa Maria. So, what I'm saying is even a $1 donation will make a difference but I'm sure you can swing a little more. Mission Santa Maria's social media campaign for the holidays. 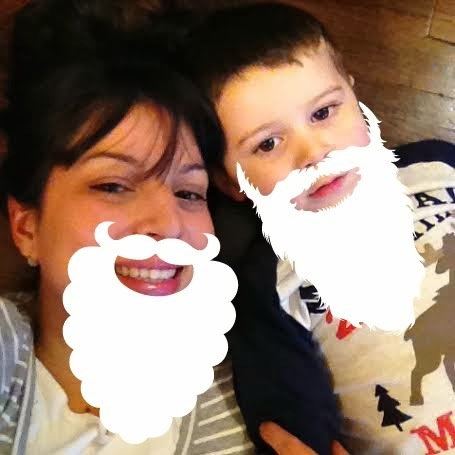 Take a picture of yourself with a Santa beard (printable pdf here or add one on Picmonkey) and share it on social media. AND/or Instagram with hashtag #santaforsantamaria.